Chiropractic care is a gentle hands-on form of therapy performed by a highly trained Doctor of Chiropractic. 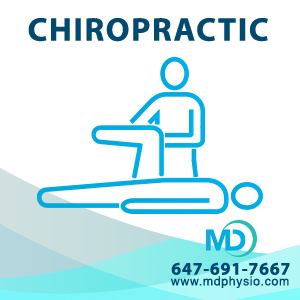 Chiropractic is focused on the diagnosis and treatment of neuromuscular disorders (muscle, bone and joint, nerve) primarily through manual adjustments or mobilizations of the body’s joints. This is a natural and safe form of therapy that focuses on restoring balance in the body and re-establishing proper biomechanics. Patients turn to chiropractic seeking relief for ailments related to the back, neck, hips, and all other joints of the body. Chiropractic care has been proven to be highly effective at decreasing pain, increasing joint mobility and decreasing tight and tender muscles. Chiropractors understand that healing comes from within through proper alignment, ideal movement, and specific exercises. Studies consistently show that patients under chiropractic care are less likely to visit the hospital, require surgery or depend on medication. The chiropractic philosophy of robust health is based on the understanding that optimal body alignment is essential to proper movement and function. If the body is moving with proper alignment, it allows all the joints of the body to move naturally and pain free. Chiropractors evaluate the entire body both in movement and while at rest, which allows for a full understanding of one’s biomechanics. Chiropractors are also trained at taking and reading x-rays, but x-rays will only be taken at our facility when needed. In addition to spinal adjustments, our chiropractor can provide other forms of treatment such as Active Release Therapy (ART), contemporary-medical acupuncture, and various other soft tissue release techniques. Additionally, chiropractors can help with ergonomic advice and postural retraining techniques. At Mount Dennis Weston Physiotherapy and Chiropractic Centre, our physiotherapists and chiropractors work together as a team as part of our integrated approach to health. We also work closely with the in-house team of medical doctors, social workers, and registered dietitians at the Mount Dennis Weston Health Centre to co-manage and cross-refer quickly and efficiently as needed.